There are countless books, seminars, and consultants that offer the secrets to everlasting business success. After heeding their advice, perhaps you manage your time more efficiently, write a compelling pitch letter, or close a few more deals. But after a week or a month, you revert to your old bad habits and mediocre performance, until the next hot new program comes along. The only lasting way to enhance your productivity and growth is to focus on a handful of basic concepts and repeat them week after week - and teach your staff to do the same. 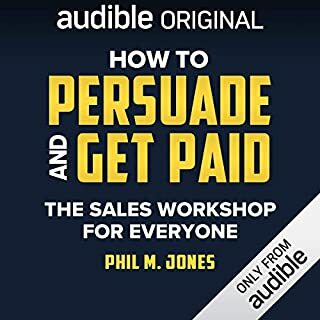 This audiobook explains how to tune up virtually every area of your business systematically, with just a little disciplined focus. Spend an hour per week on each "impact area" of your business, and you will be astonished at how much you can accomplish. ©2007 Chet Holmes (P)2007 Blackstone Audio Inc. 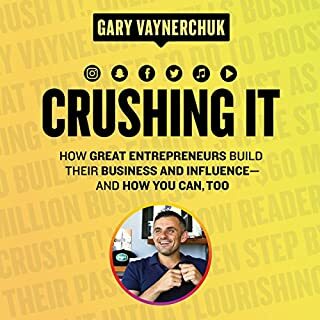 This audio book was fantastic! 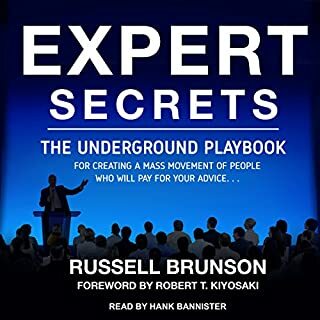 The combination of Chet's brilliant stories/writing and the narrator's voice made this one of the most enjoyable and educational audio books I've ever listened to. 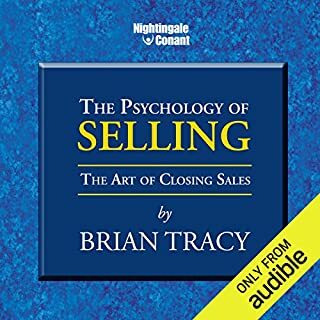 If you are in sales or are a sales manager, then you need this book! 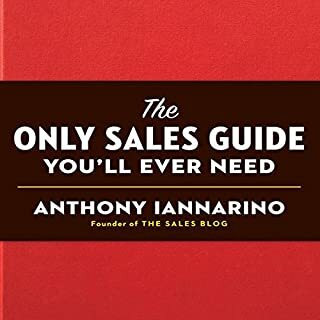 Even if you're not in sales, you still need this book! It is absolutely essential if you want to be the best and make more money than you ever thought was possible. All of the principles in the book are easy to digest and implement in your own life and career. 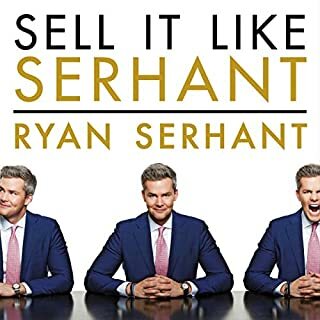 Do yourself a gigantic favor and purchase this book! You need this book! I am going to listen to it 10 more times. Wow. Did I say Wow? Just in case I didn't, WOW! "I probably would've skipped this book if it had not been recommended to me. And that would have been a mistake on my part. 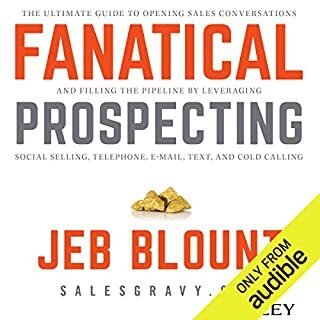 Think of the Ultimate Sales Machine as a distillation of numerous other really good books on business and sales. But in the case of this book what you end up with is a great example of the "whole being greater than the sum of the parts". 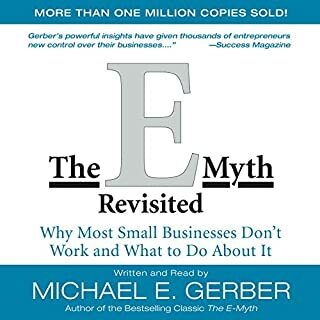 One of the major shortcomings I find with business books is that they either focus on a 10,000 foot view or a 100 foot view of how to implement one of those veiws/concepts. 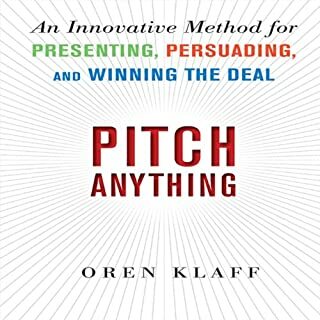 The average business book author very rarely has the ability to take the reader back and forth between the two views. 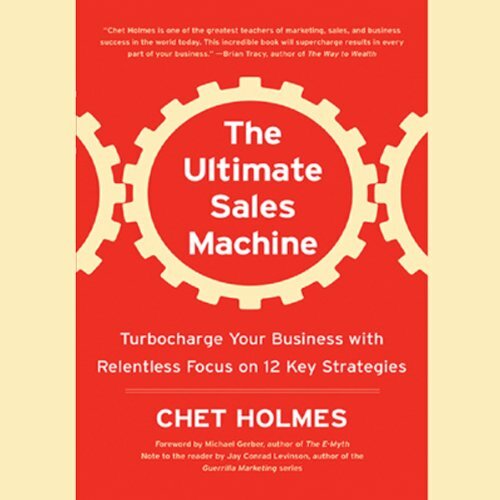 With this book Chet Holmes succeeds at giving you BOTH strategic and tactical methods/examples for understanding and implementing the concepts that he covers. 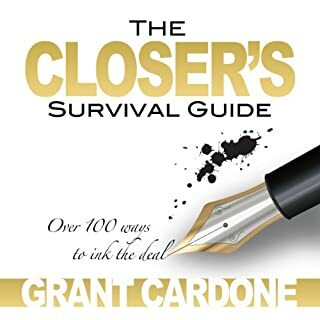 I believe that this will be one of the all-time great guides to business. 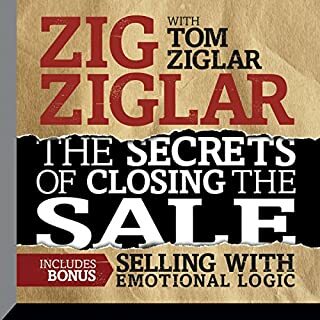 Chet makes the science of sales become so simple. 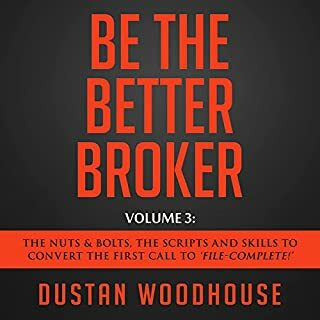 Implement one chapter per month and your business will become an ultimate sales machine within a year. Some of the material is basic. While other material, like the Dream 100, is invaluable. It's worth the cost of the book just to learn how to acquire this small number of ideal clients. 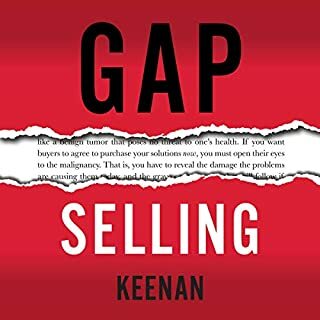 Whether starting out or looking to improve your sales, this book has it all. 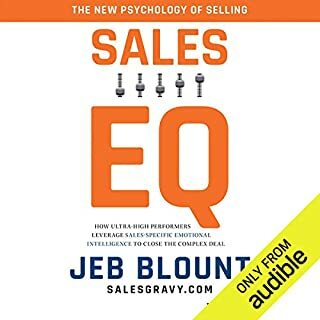 It's my first sales book I've read. Cannot imagine another book doing any better. 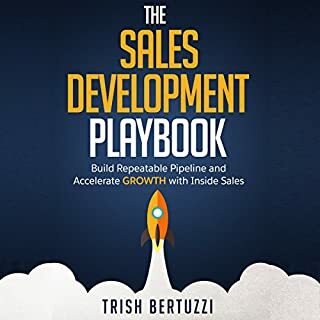 Excellent Business Development and Growth Strategies! This book offers a very comprehensive, time tested, results getting approach to business growth and development. The strategies and tactics covered are essential to building a business or enterprise that thrives in the 21st century. 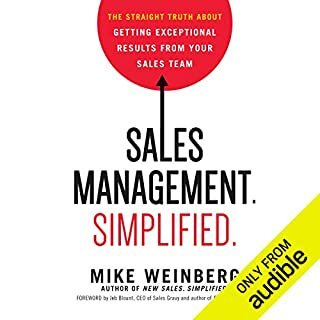 I find it fascinating all the negative comments towards the narrator of this book, but I also find it common for most employee types to rebel against anything that would actually be good for their own company and really committing to that end. Their feelings always being a higher priority over real solid objective content, above consoling the weak emotional states of so many, just really sad. These negative reviewers should really come as no surprise, after all this material is definitely a threat to their ability to have a lazy attitude towards their company and just collect a check, Chet unveils their personal mysticism and how it ultimately undermines even their own security and them facing these realities must definitely be scary for some, and others just a threat to their own ego for sure. It is definitely easier to attack the messenger then it is to own up to your own undisciplined and irresponsible attitudes. But I guess that is about to change in America as those with these lazy attitudes over the value of real content and knowledge, are going to have a very rough time finding a job here in America. Most companies are outsourcing to India and China. I can hire a PHD in Business and Marketing for around $500.00 per month and get 6 – 10 hour days out of the individual, where in America we just get this kind of whiny attitudes like you see from the negative reviewers on this board, and we are expected to pay 4,000.00 to $5,000.00 for this kind of shlop. This book is the real answer to your real business problems and will put you in the position to have the power and discipline to pull the BAD weeds out of your garden with pig headed determination and discipline. 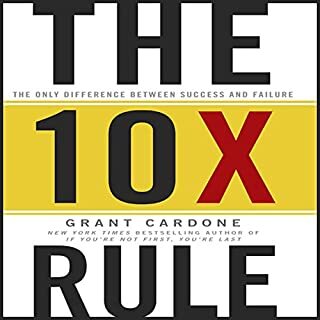 (The Negative reviewers on this board are definitely the bad weeds you need to pull out of your business if you have any hope of being successful, don’t listen to any of them, this book is a real threat to their unearned bogus livelihoods at your expense, parasites feeding off you. 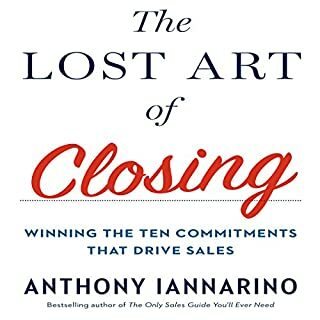 I've read dozens of sales, marketing, management and leadership books. Many of them have a lot of the same general material. This is one of the few that really breaks down HOW to accomplish each objective outlined. I plan to use this as a workbook and reference it often. I've read and attended dozens of trainings this is the best of the best!